Built in 2006, the San Marco is located near the Broadway Promenade complex and Publix, between 11th and 12th streets on the northern edge of downtown Sarasota. There are 32 units in the building consisting of 23 residential apartments and 9 units of retail/commercial space on the first floor. These maintenance-free condos are designed with 3 to 4 bedrooms and a Mediterranean style exterior. 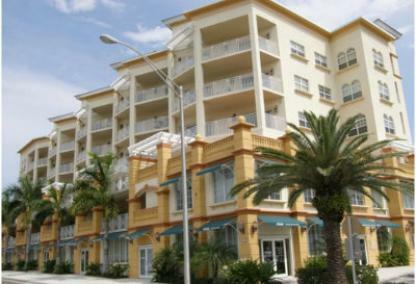 There is an abundance of of living space in these condos with sizes ranging from 1,843 to 3,863 square feet. Residents enjoy spacious terraces that are perfect for entertaining. 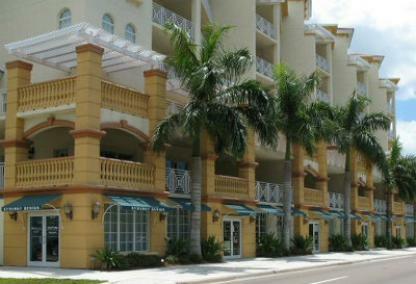 Downtown Sarasota is a short drive for shopping, entertainment, arts/culture venues, dining and professional services. The Gulf beaches on Lido Key are only five minutes drive as well.